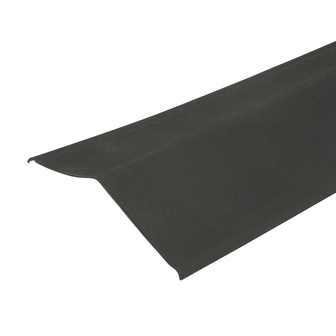 Manufactured from the same material as the Coroline sheets, the Coroline Verge is fastened at the verge to provide a professional weatherable finish to the roof verge. Available in the full range of Coroline sheet colours - Black, Red, Green and Brown. Refer to the Coroline installation guide and Coroline installation video for complete installation instructions. Coroline is covered by a 15 year waterproof guarantee. A replacement is provided free of charge if the product has failed to remain waterproof, in normal weather conditions within a 15 year period from the date of purchase. Coroline MUST be fixed and maintained in accordance with the manufacturer's instructions for the warranty to remain valid. Re-erections or consequential damage costs are not included.